The late seventies were dark times for performance cars. It became increasingly difficult for manufacturers to build fast cars that complied with stringent federal emissions and fuel economy standards. One by one, the muscle cars died off as they succumbed to skyrocketing gas prices, rising insurance premiums and plummeting engine power. But then Dodge found a loophole. 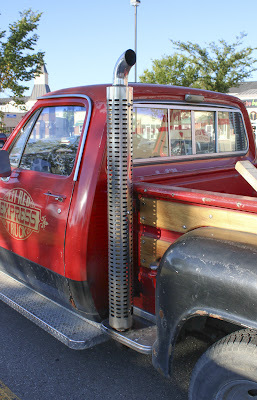 Factory exhaust stacks on a half-ton pickup truck? I'm not sure that's been done before or since. 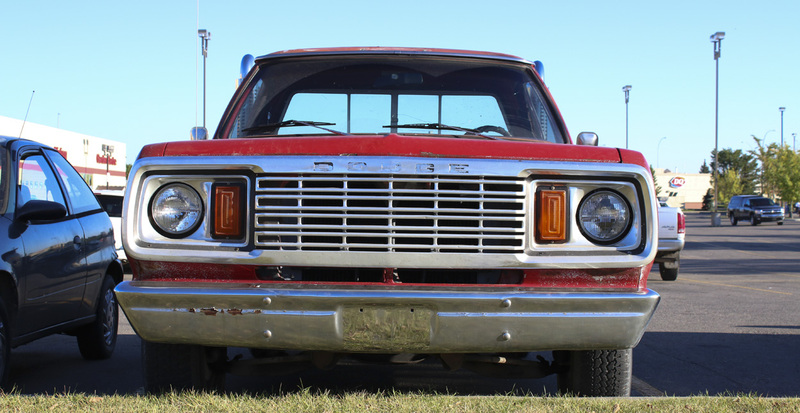 One day while thumbing through the pages of federal regulations, the guys at Dodge realized that the regulations on fuel economy and emissions were not nearly as strict if they built a truck. 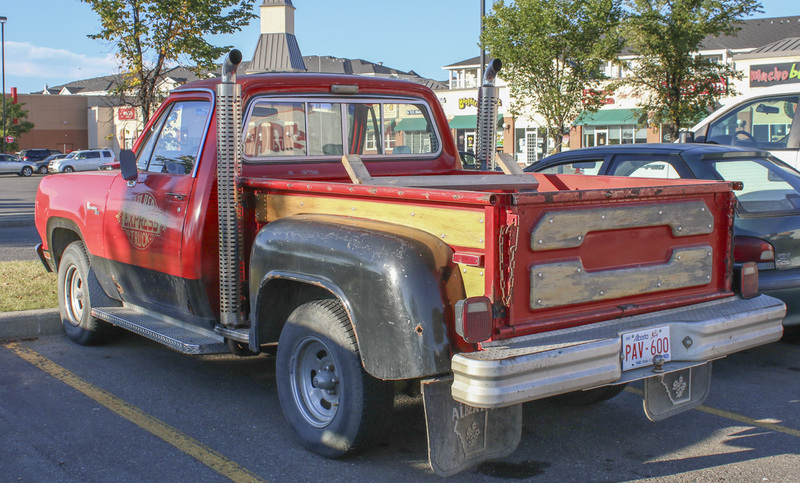 This is because at the time, pickup trucks were viewed like commercial vehicles by the government. And thus the idea was born to make a muscle car out of a pickup truck. Each dubiously named Lil' Red Express Truck left with a 225 horsepower, high performance 360 cubic inch V8. This was an impressive amount of power for a time when a base model Corvette made a measly 185 horsepower. The tweaked MoPar 360 was backed by a mandatory 727 automatic transmission and low 3.55:1 rear end gears. All this made it the fastest accelerating American 'car' to 100 mph in 1978. Dark times indeed. 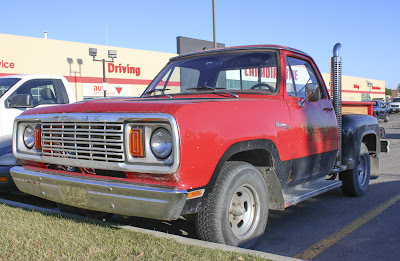 But it wasn't performance alone that made the truck unique. 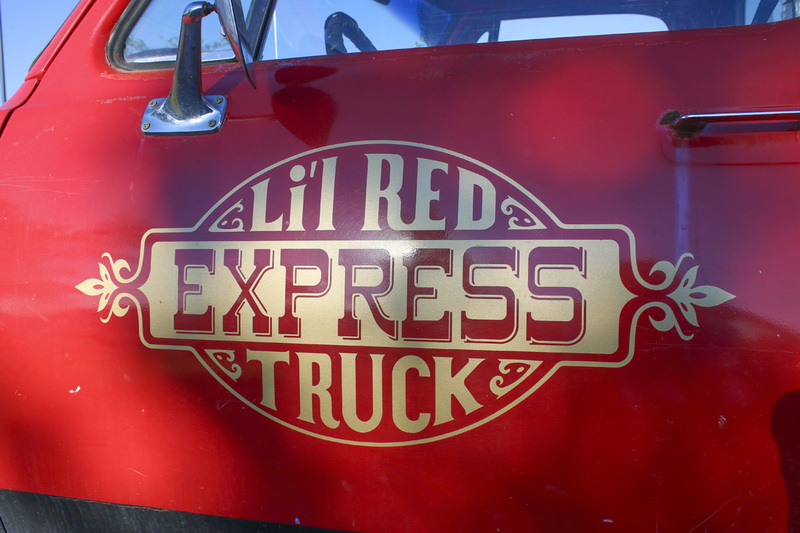 It would be hard to describe the appearance of Lil' Red without using words like gaudy or outrageous. 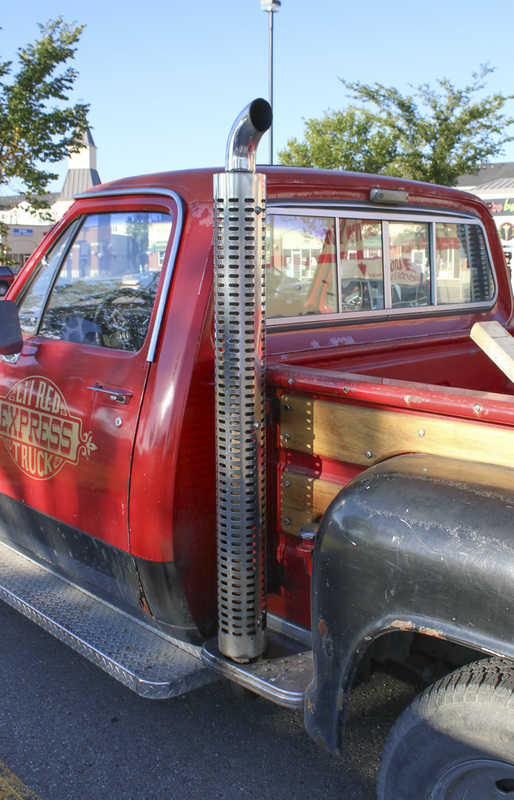 Not a vehicle for shrinking violets, each truck came with real wood panelling on the bedsides, chromed "slot mag" wheels, a massive gold door sign and two giant chrome exhaust stacks to top it all off. Oh and every single one was firetruck red. Subtle. Seeing one of these among modern cars in 2013 is like seeing a Las Vegas showgirl in full costume waiting at a Calgary bus stop. It remains a caricature of the era and it's hard to understand this truck without appreciating what '70's cars were all about. Yeah these muscle cars are very powerful and good for the adventures and in hilly areas. I love these models because these cars have their own grace. 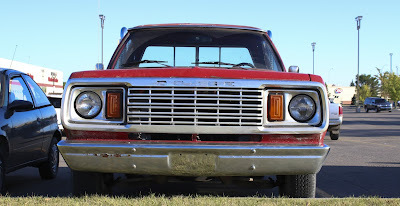 Good work done on this blog, its a very informative blog about the muscle cars.However if you want to track your car so side a look on Mercury VIN Decoder. Self confident and astounding in equivalent measures, an unquestionable requirement read. Bibliography - Paul, B. 2018. “Testotek Reviews: Benefits, Side Effects & Where To Buy Guide!” Testosteroneofficial.Com Ie. Testosterone Official. Accessed September 7. https://testosteroneofficial.com/reviews/testotek/.